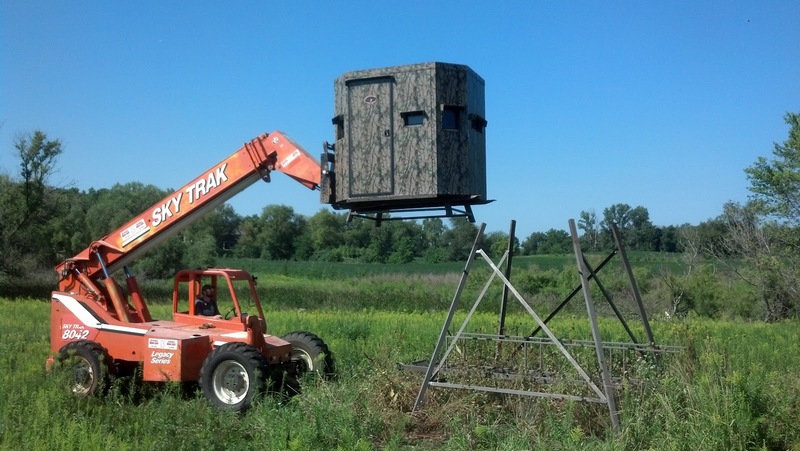 This isn't the way most of us would be required to handle a hunting stand. However this isn't your average hunting stand. On Arington Tree Farm we refer to this monster as Fort Buck. 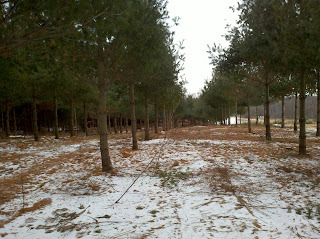 In the winter of 2010-'11 the major farm project was thinning and pruning a mixed White Pine and hardwood woodlot. Fort Buck was in a field adjacent to the woodlot. The thinned woodlot drastically changed deer patterns and made it necessary to move the stand. With the planting of a new food plot, we had the perfect new location for Fort Buck. Unfortunately this new location was on the other end of the farm. It took Jeremy and I a full day to take it apart, move it and set it up. Things aren't quite done with the new location. I will be raising the canopy on some Silver Maples and removing some brush to improve sight lines. Stay tuned for a picture showing Fort Bucks new location once this additional work is finished.